You Tube can be a great place to upload your marketing video for your business or product. Millions of people get on You Tube everyday to watch videos and ours can be one those that people watch. If you include your website address and other information then hopefully people will then be driven to your website and purchase something. The following list are 10 reasons why placing your video on You Tube can be a good marketing ploy for your business, products, or services. 1. You can produce short videos of informative tips that can help show off your expertise in your specific area of business. In turn, this will make people interested in visiting your website. 2. You can interact with the YouTube community by leaving comments on other people’s pages and uploading video responses to videos on topics that are related to your business or product. Above all, You Tube is a social utility site and the more your name is out there, the more hits your marketing video is going to receive. 3. You can add your You Tube channel’s website address to marketing collateral and other social networking profiles. 4. You can upload customer video testimonials in order to add to your believability. Try not to make them too infomercial like, however, or else they will appear insincere. 5. You can show the results of someone using your product or services. This is a great way to bring your product to life. 6. 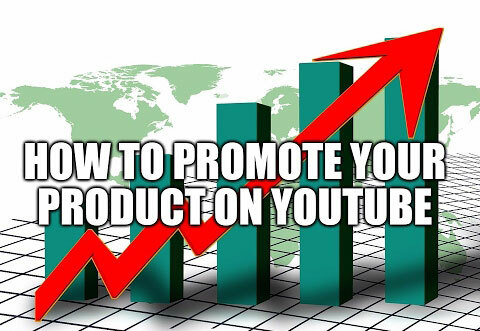 You can let others use your product in their videos and vice versa in order to cross-promote each other. This equals product placement. 7. Use your video to advertise your business or product by including your company information like your name, URL, phone number and email address in every video. After all, you want people to be able to find your website. 8. You can answer questions using your marketing videos. Some people are visual creatures and would appreciate being shown a video instead of reading a FAQ. 9. Make sure that embed your marketing videos on your company’s website on the right pages so that people can find them. You can upload them to You Tube and then use them directly on your own website. 10. You can even earn money from your You Tube marketing videos by entering into a partnership with YouTube.